Hello, I am Jeanne, one of your distributors in SC. 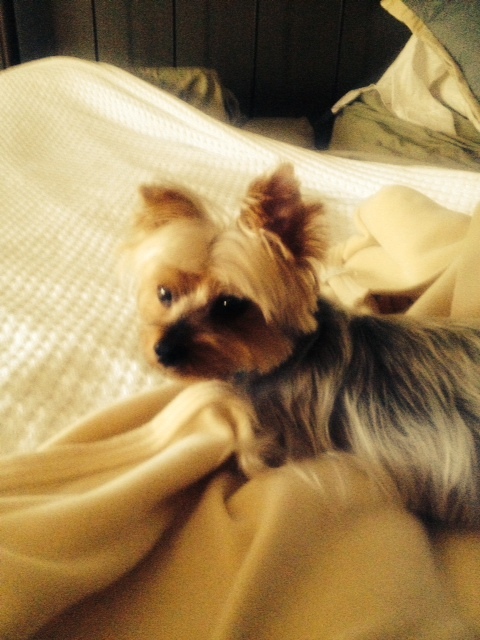 I have been wanting to tell you about Kipper, my 10 year old Yorkie. Kipper was quite ill with a disease, lympangectascia, for the last 4 years. His vet told me there was nothing else to do, the meds had quit working. Last Septem ber, I began giving him the Primal Defense, a probiotic formualtion and that was the answer the entire time. He responded to the Primal powder really nice. He started doing well. I started giving him bio superfood 2 months ago. His coat was a silver color and thinning with age. I am happy to tell you that Kipper looks younger than ever. His coat is turning dark on top. He used to have dark hair on top. Evidently, the bioage is returning him to youth. I would spend the rest of my life telling other pet owners about the miracle bioage product. I am amazed at his health these days. I will help you get the word out for sure.